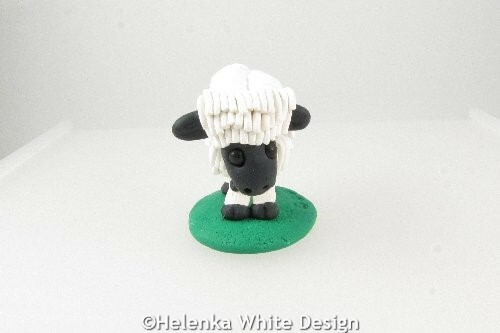 This cute Valais Blacknose sheep has been handcrafted with polymer clay. Her name is Molly. 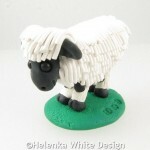 Valais Blacknose sheep are the cutest sheep in the world and are the inspiration behind Molly. 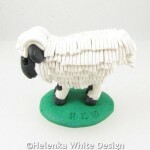 This small Valais Blacknose sheep sculpture stands on a green patch of grass and is looking for a loving forever home. Molly has been carefully handcrafted with white, black and green polymer clay. 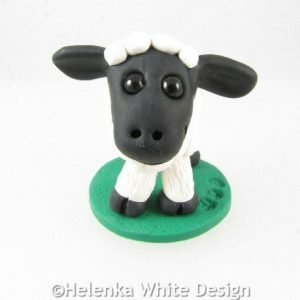 Two small black glass beads form her eyes. 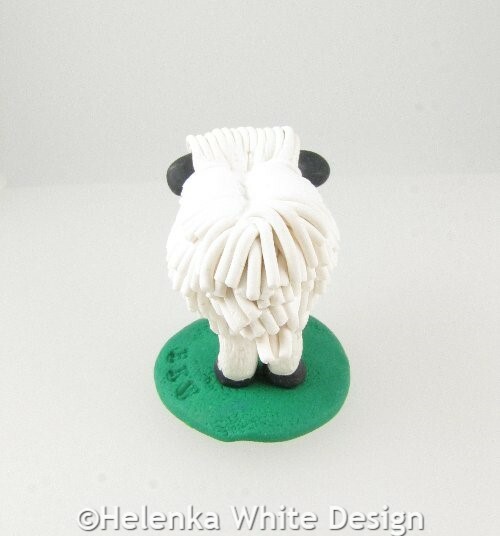 At her highest point (her head) Molly measures approximately 4,5 cm and is about 6,5 cm wide. 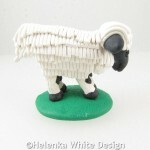 Molly is a one-of-a-kind sheep and wants to be adopted. 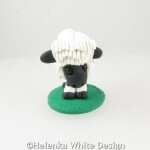 However she has some brothers and sisters in the shop. 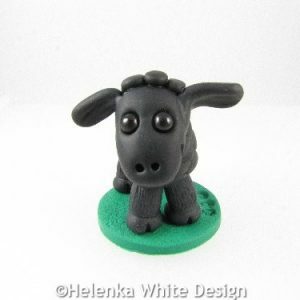 Two small black glass beads form her eyes. Stretched out Siamese cat sculpture – handcrafted with polymer clay. 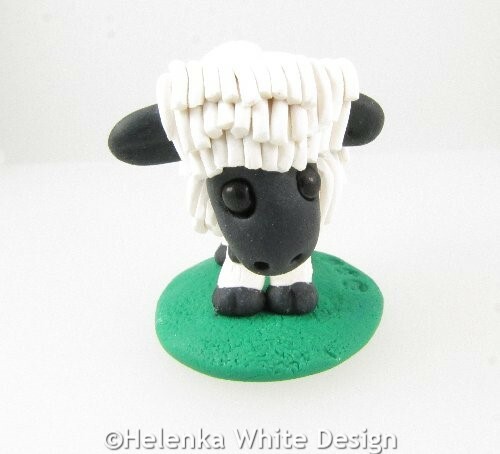 Curled up black & white cat sculpture – handcrafted with polymer clay. 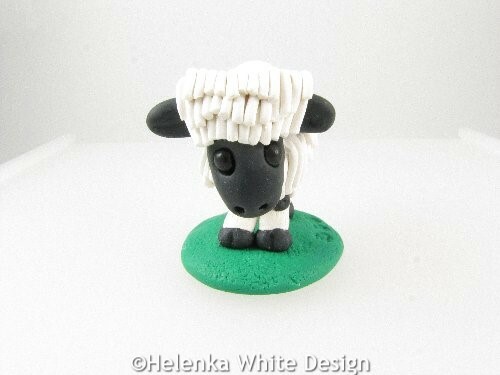 This cute black sheep sculpture has been handcrafted with black and green polymer clay. 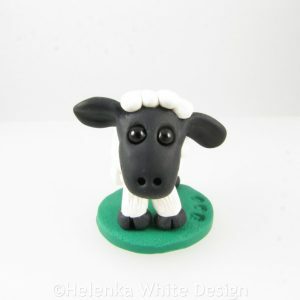 He’s called Blacky. 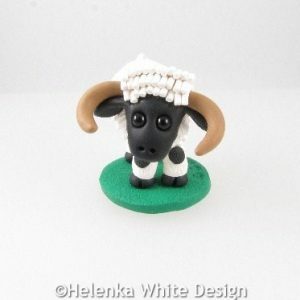 This cute Valais Blacknose sheep has been handcrafted with polymer clay. His name is Henry. 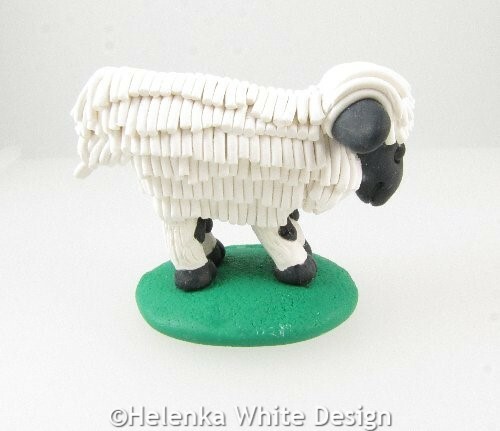 Curled up Siamese cat sculpture – handcrafted with polymer clay. 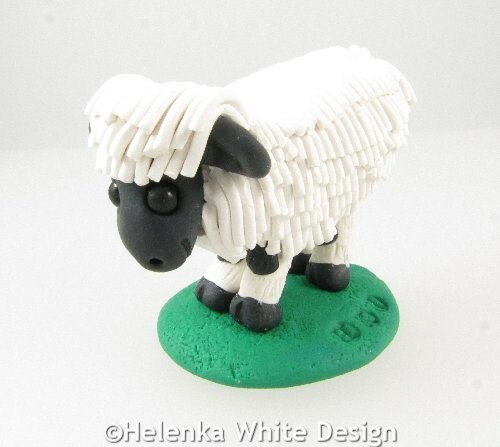 This cute white sheep sculpture has been handcrafted with polymer clay. 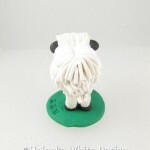 His name is Snowball. 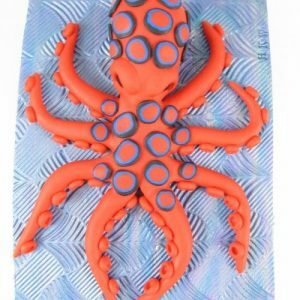 Handcrafted octopus sculpture – made with polymer clay. 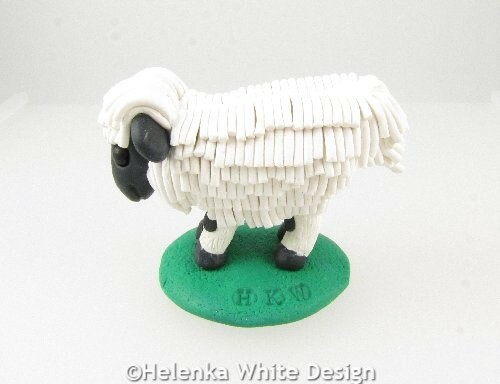 This cute white sheep sculpture has been handcrafted with polymer clay. Her name is Woolimina.